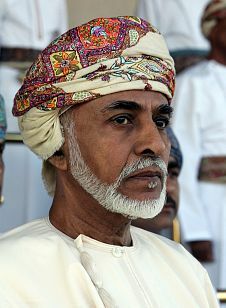 Sultan Qaboos bin Sa’id Al-Sa’id, the 14th descendant of the Al-Bu Sa’idi dynasty, is a socially and politically active monarch, who has ruled for over 40 years as Sultan. Sultan Qaboos has revolutionized and modernized Oman, transforming it from a poor, isolationist nation into a land closely-linked with the African continent and devoted to economic development, regional stability, and religious tolerance. Leader of Omani Sultanate: Sultan Qaboos Al-Sa’id reigns over a country strategically situated in the Gulf region. Oman has a stake in the crude oil market due to the Strait of Hormuz, which connects the Gulf of Oman to the Persian Gulf and the Arabian Sea, producing over 950,000 barrels of crude oil per day according to Oman’s Oil and Gas Ministry.  Historically, Oman is significant as one of the only countries with a large population of Ibadi Muslims and as the most authoritative state in the Ibadi movement—one that is recognized as one of the oldest schools of Islamic thought. 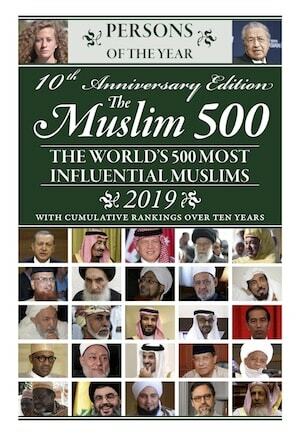 Beacon of Islam: Sultan Qaboos has helped build or restore thousands of mosques at his personal expense, the grandest being the Sultan Qaboos Mosque, which can accommodate up to 20,000 worshippers. The Sultan is a discreet but strong supporter of moderate Islam and has created a unique Islamic culture in Oman that has carefully combined the best of traditional Islam with the benefits of the modern world. Sultan Qaboos has promoted culturally-specific Islamic dress, art, architecture and education, and is a keen advocate of environmentalism. Qaboos has also supported the non-Muslim population through the construction of Catholic and Protestant churches in the country as well as Hindu temples. Personal Leadership: The Sultan has raised the Omani standard of living by building up Oman’s school system, health care, infrastructure, and economy. He cites political participation as one of his major long-term goals. Within the last two decades, he has introduced political reforms; including a bicameral representative body, a basic law, universal suffrage, and a supreme court. Moreover, despite Oman’s relative lack of oil and gas compared to other Gulf States, the Sultan has invested his country’s wealth so that all citizens are guaranteed free education up to the doctoral level (should they qualify); free healthcare, free land, soft loans for building homes, jobs and social security for the disabled, orphans and widows. International Leader: Sultan Qaboos has been recognized by organizations such as the United Nations and the National Council of US-Arab Relations for his leadership in the Persian Gulf region. In 2008, he presided over the GCC Summit, where he was commended for his ongoing efforts toward political and economic cooperation amongst the GCC states. Sultan Qaboos has made an effort to strengthen ties between Oman and Iran, as well as the strategic partnership between Oman and India—showing the Sultan’s foresight in carving foreign policy independent of that of his Arab neighbours. Leader of Omani Sultanate: Sultan Qaboos Al-Sa’id reigns over a country strategically situated in the Gulf region. Oman has a stake in the crude oil market due to the Strait of Hormuz, which connects the Gulf of Oman to the Persian Gulf and the Arabian Sea, producing over 950,000 barrels of crude oil per day in 2014, according to Oman’s Oil and Gas Ministry. Historically, Oman is significant as one of the only countries with a large population of Ibadi Muslims and as the most authoritative state in the Ibadi movement—one that is recognized as one of the oldest schools of Islamic thought. Beacon of Islam: Sultan Qaboos has helped build or restore thousands of mosques at his personal expense, the grandest being the Sultan Qaboos Mosque, which can accommodate up to 20,000 worshippers. The Sultan is a discreet but strong supporter of moderate Islam and has created a unique Islamic culture in Oman that has carefully combined the best of traditional Islam with the benefits of the modern world. Sultan Qaboos has promoted culturally-specific Islamic dress, art, architecture and education, and is a keen advocate of environmentalism. This quiet, measured rise has made Oman a hidden pearl of the Islamic world. Personal Leadership: The Sultan has raised the Omani standard of living by building up Oman’s school system, health care, infrastructure, and economy. He cites political participation as one of his major long-term goals. Within the last two decades, he has introduced political reforms; including a bicameral representative body, a basic law, universal suffrage, and a supreme court. Moreover, despite Oman’s relative lack of oil and gas compared to other Gulf States, the Sultan has invested his country’s wealth so wisely that all citizens are guaranteed free education up to the doctoral level (should they qualify); free healthcare, free land, soft loans for building homes, jobs and social security for the disabled, orphans and widows. Furthermore, unlike neighbouring countries, Oman has resolved all its border demarcation issues with all its neighbours, has no foreign debt and has a Sovereign Wealth Reserve Fund of over 30 billion Riyals (about $100 billion). Oman is thus arguably the best administrated country in the Islamic world, if not in the whole world. He continues this leadership even thoughhe is receiving treatment for cancer.